One of the great masterpieces of Western literature, Odyssey chronicles the many trials and adventures Odysseus must pass through on his long journey home from the Trojan wars. Though the stormy, vengeful god of the ocean is determined to keep him off course, Odysseus is clever and has the brilliant goddess Athena on his side. With wit, integrity, and bravery, Odysseus must escape the grip of the fearsome Cyclops, resist the deadly seductions of sirens and witches, and traverse the land of the dead to commune with his fallen comrades before returning to his beloved wife, who has waited for him for twenty years. 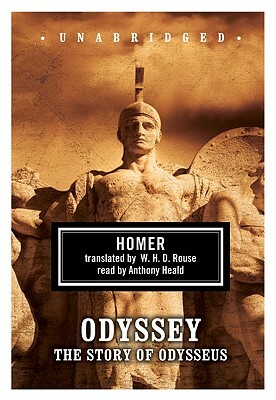 A storehouse of Greek folklore and myth, Homer's epic tale remains as captivating today as it was 2,700 years ago.